The largest of the Greek Ionian Islands, Kefalonia is perhaps best known for it's association with Louis De Berniere's novel; Captain Corelli's Mandolin. The 2001 film, featuring Nicolas Cage and Penelope Cruz was also shot here. Azure blue seas, white sands and dramatic mountains make this a popular destination for tourists from far and wide. 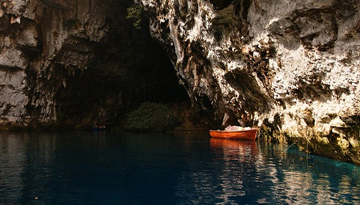 The best way to explore the island's hidden caves and beaches is by boat. Most resorts run daily excursions, or if you are feeling adventurous, hire your own boat from one of the many beach shacks. A wealth of restaurants line the picturesque beaches and coves serving traditional Greek fair and fresh seafood. Much of the cuisine also has an Italian influence as the island once found itself under Venetian rule. Kefalonia, like many of the Ionian islands has a mountainous structure and is rich in flora and fauna. Kaminia beach, at the southern tip of the island, is home to the loggerhead turtle, protected by the sea turtle society. The island boasts numerous olive groves, vineyards and natural parks; making for a lush and dramatic landscape. 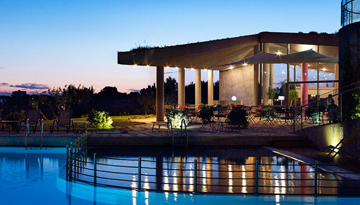 Leivatho Hotel is situated on Cephalonia and offers 4-star with satisfying stay. 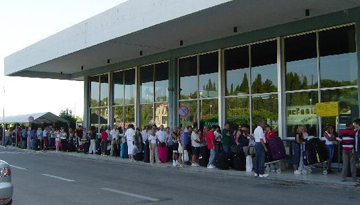 Fly from Manchester - Kefalonia & Stay for 7 nights with 3 star accommodation. Bed & Breakfast.